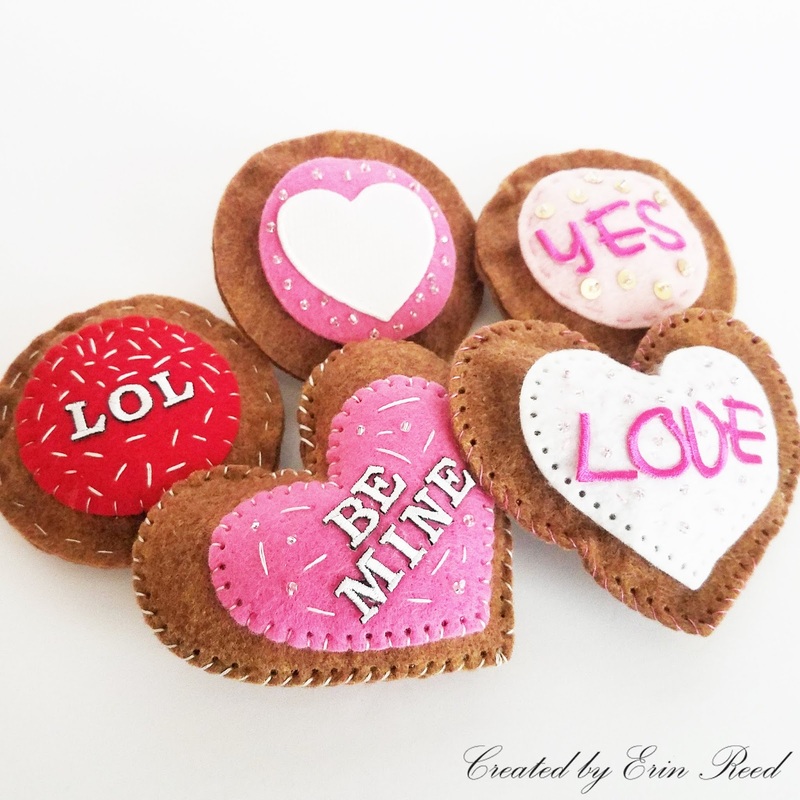 Create some cute, calorie free, felt Valentine conversation cookies using Joy® iron-on letters! 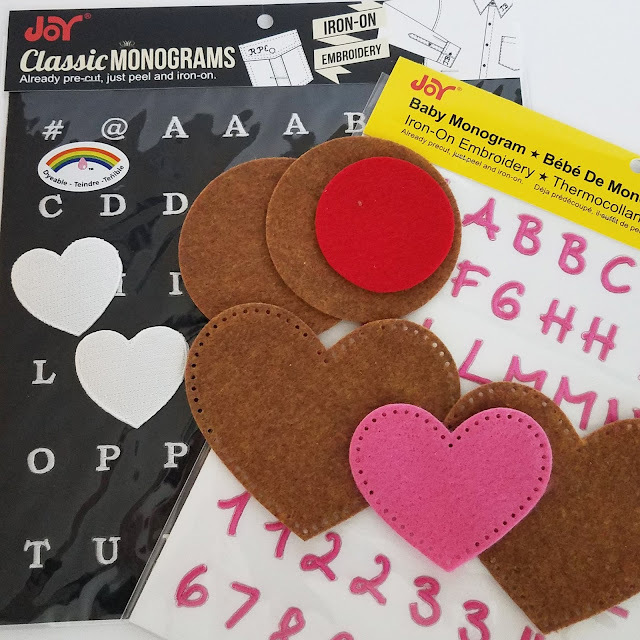 Joy® Iron-on Classic Monograms Letters - "BE MINE" & "LOL"
Joy® Iron-on Baby Monogram in Pink - "LOVE"
Cut the heart and circle shapes: 2 large and 1 small for each cookie. 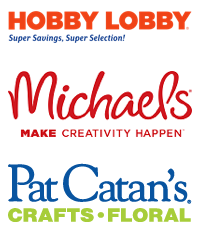 Iron on the letters or heart of choice on the top, smaller felt layer of each cookie; the "frosting layer". Sew or glue the top smaller "frosting" felt layer onto the larger "cookie" layer of felt. Add beads and sequins to the top of the cookie to look like sprinkles. Sew or glue the two layers of the felt "cookie" together leaving a small space to add the stuffing before you fully close up the felt cookie. Enjoy your calorie free cookies as a decor piece or as a small gift you can give to someone!